Christina Samuels, popularly known across Social Media as ‘Trudy First Lady Malcolm’, always had a flare for the dramatic. The 27-year-old soared to social media stardom when a series of videos – in which she cursed a number of people – went viral, much to the delight of thousands of Facebook users. In one of her usual video rants, however, Samuels made an open invitation, in her usual flamboyant manner, for someone to “come shoot me inna mi head”. It would appear someone took up the invitation, as in the same day the video was posted, on Wednesday of this week, Samuels’ body was recovered on a back road in the upscale community of Mango Walk, with four shots to the head. According to information gleaned from the Police, about 9:30 p.m. on Tuesday night, residents of the usually crime-free neighbourhood, heard gunshots in the area, sounds they were unaccustomed to. On Wednesday morning, however, as residents busied themselves going about their daily routines, a most gruesome discovery revealed the end of the crime-free drought the community has been fortunate enough to enjoy in the bloodstained parish of St. James. The body of Christina Samuels laid along the popular Morrison Crescent back road, with four gunshot wounds to the head. It is unclear if the now viral video of Samuels’ rant was filmed from the event she had attended, however, the information surfacing from it seems disturbingly telling. In the video, Samuels began: “Right now mi hear some people a call up mi name and mi tired a it.” After a string of expletives, Samuels went on to talk about a sexual relationship she maintains with a high-ranking Jamaica Constabulary Force officer, whom she believes would protect her in any life-threatening situation. 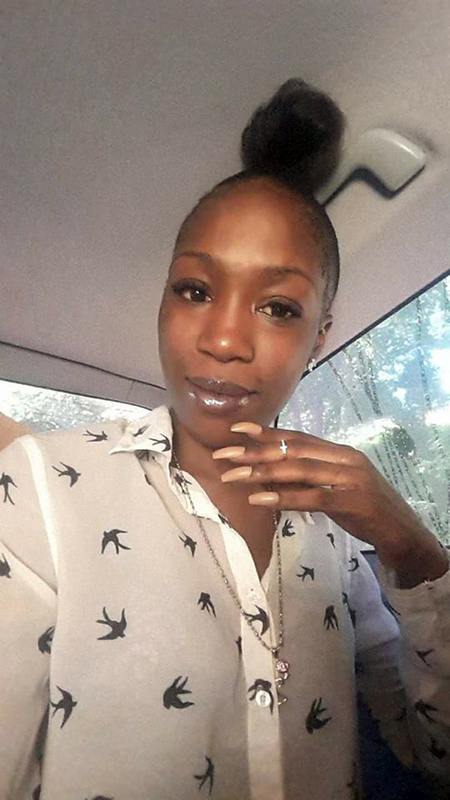 “Mi wii call di police and run you dung and beat you in front a dem,” Samuels continued, going into details about the safety she believes she would get from the police. As the video progressed, however, Samuels’ rants ventured into dangerous territories, when she made what many considered a death wish. “You affi shot mi inna [expletive] %$#@ head and kill mi!” Sadly, it ended that way, with no clear motives established by detectives as to what specifically led to her demise.